Just about every single home in the United States contains some level of mold. It exists in the air, and therefore, it is likely that it will enter your home. However, mold can only grow under certain conditions. Mold needs moisture, high humidity and a food source to thrive, and if those conditions are met, mold can grow and cause everything from mild allergic reactions to severe infections in people. This is why you should have Mountaineer Inspection Services provide you with mold inspections and testing services. 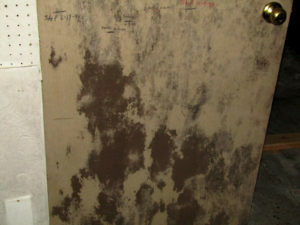 We are a residential home mold testing company in WV that can conduct a thorough mold test and put your mind at ease. There are many reasons to consider testing for mold. One is if you have spotted mold growing somewhere in your home. You should test for it immediately to see how extensive your mold problem is so that you can get rid of it sooner rather than later. You should also test for mold if you have experienced any symptoms related to exposure. Those who have been exposed to mold may suffer from fatigue, headaches, poor memory, joint pain, shortness of breath, and may have difficulty concentrating. It’s also a good idea to have testing done by an experienced, residential home mold testing company if you are selling a home in WV. We here at Mountaineer Inspection Services can attest to the fact that potential home buyers like to know exactly what they are buying into, especially when that might be a mold infestation. Mold can cause extremely serious issues for homeowners if it isn’t taken care of in a timely manner. As soon as you suspect that mold may be present in your home, have the experts at Mountaineer Inspection Services come in to do an inspection to determine the extent of the issue. That way, you know exactly what you’re dealing with and how bad it has gotten. As a trusted residential home mold testing company in WV, we have experience inspecting homes and are confident that our comprehensive mold inspection, which includes air samples, tapes, and swabs, will identify the severity of your mold problem. Don’t let mold in your home go undetected. Reach out to Mountaineer Inspection Services at 304-709-3200 today to schedule an inspection of your property.